The Cumberland County Sheriff’s Office says a “projectile” was found on the grounds of the Bailey Island Lobster Company in Harpswell Monday morning. 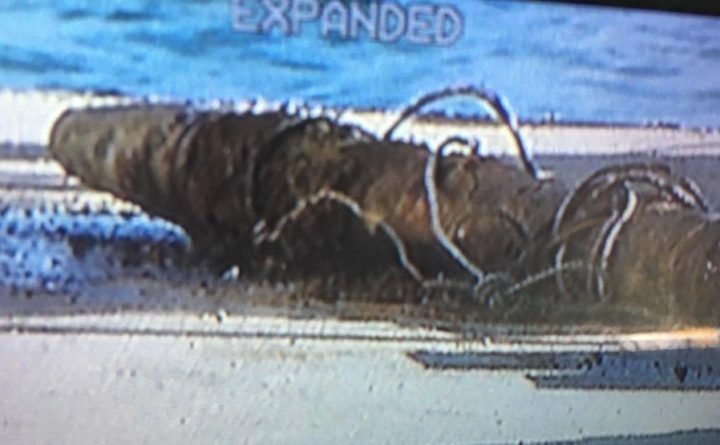 HARPSWELL, Maine — A 7-foot log-like object caught in the gear of a local fishing boat and dragged on Saturday to Mackerel Cove turned out to be a potentially live military projectile and was detonated by Maine State Police on Monday. The Cumberland County Sheriff’s Office went to the wharf at Bailey Island Lobster Company on Abner Point Road just before 10:30 a.m. Monday for a report of a suspicious object, according to a release from Capt. Scott Stewart. Deputies examined the object and determined it was some sort of military ballistic projectile. They later discovered it had been found approximately 12 miles offshore, pulled aboard and brought ashore by a local fishing boat. The U.S. Navy and Maine State Police Bomb Squad were notified, and Maine State Police explosive experts removed the object from the scene and detonated it in a local sand pit, Stewart said.